Do you enjoy mouthwatering BBQ? Then you have come to the right place. Pellet grills are the answer to your perfect BBQ prayers, and a high-quality grill can take your cooking to the next level. With real hardwood pellets to cook over rather than gas, these grills provide some of the best tasting meats you have ever eaten. Many BBQ enthusiasts enjoy using these grills for family BBQs and even in BBQ contests as they provide great results each time. 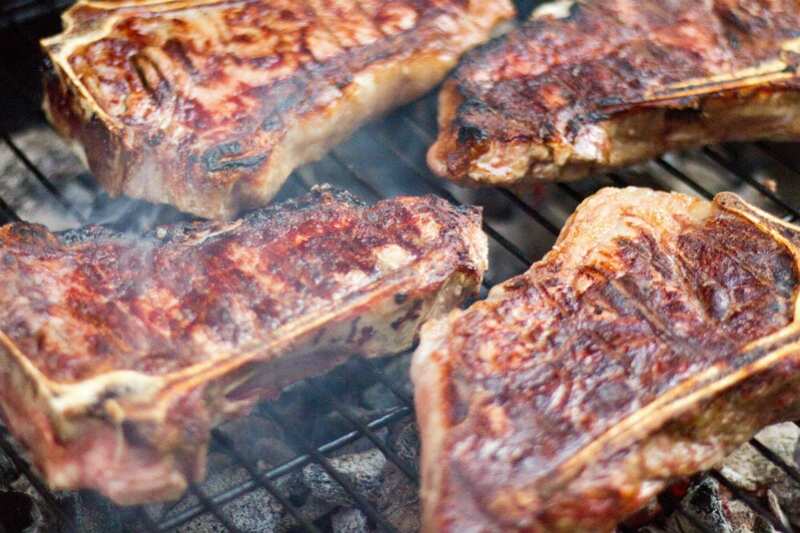 Not only do pellet grills deliver great-tasting meats, they are also pretty easy to maintain. Perhaps you would like to learn more about pellet grills and purchase one for yourself? Then sit back and read this article as we go through all you need to know when it comes to purchasing a pellet grill. We will also provide a quick product review of one of the top pellet grills on the market – the 7-in-1 Wood Pellet grill by Z Grills. When it comes to purchasing a pellet grill, there are a couple of factors to take into consideration. Pellet grills come in different shapes and sizes. Many include storage compartments, extra work stations and a generous grilling capacity. Most are mobile, featuring wheels so they can easily be transported where you desire. You can find smaller sized grills which are suited to families, and larger ones which are suitable for larger events or special occasions. Most pellet grills are capable of cooking in many ways, from grilling and smoking to braising, baking, searing and roasting. Temperature control is crucial when it comes to a pellet grill. Many grills will feature timing sequences that base the temperature on the weather condition, and this can often cook inconsistently, especially in locations with variable weather. The better and more modern grills will feature temperature-control systems, such as PID temperature controllers, which are popularly used in restaurants and bakeries. These are much better to work with as they provide consistent temperatures regardless of the weather. Each pellet grill will burn pellets at a different rate per hour. Some may burn around 4-5 pounds an hour, whereas others might burn 1 pound an hour. Knowing how much your new grill burns is crucial before you buy as you might need to buy a lot of pellets. If you are on a budget, you might not want to keep buying so many pellets each time you have a BBQ, so knowing in advance can help save you some bucks. Pellet grills have also had an update in terms of technology. You can now find grills with Wi-Fi connectivity, and which allow you to control them from afar. You can do things such as switch the grill on and off, or simply adjust the cooking temperature, which means you don’t always have to stay at the grill but also take time to socialize at your BBQ. Let’s now take a look at a popular pellet grill on the market – the Wood Pellet grill by Z Grills. Are you ready to take your taste buds to the next level? Introducing the 700 series from Z Grills. This fully equipped pellet grill is the answer to all your BBQ needs. We take a look at its amazing features below. Z Grills are experts in grills and offer a fantastic supply of outdoor cooking appliances. The 7-in-1 Wood Pellet Smoker is part of their 700 series, and is a great quality grill. With an auto temperature control and a large cooking capacity, you are sure to cook well with this one. If you would like a grill which works for you, then this grill is the one. The 7-in-1 grill features a digital control board, which auto ignites the grill, and can be set to temperatures from 180°F to 475°F. The automated electric feed system works to maintain heat and produces an optimal amount of smoke. Simply set the temperature and let it work by itself. Cleaning is often messy when it comes to grills, but not with the Z grill. Cleaning is a breeze, with this pellet grill, as the grease flows from the grill into a drip bucket which can possibly be reused for gravy or disposed of. The cover and racks are also rust proof, meaning they will last for a long time. If you are looking for a grill which can cook in more than one way, then this is a good choice for you. The ultimate 7-in-1 BBQ smoker grill can bake, roast, braise, smoke, BBQ, grill and sear your food to perfection. The generous 450-square-inch grilling area is perfect for all your meat cooking, and allows you to cook generous quantities at one time. If you are looking for a BBQ with a little extra space, this model is for you. The 700 series comes fully equipped with a large 20-lb. hopper, a durable stainless steel lid and a compartment to store all your BBQ essentials. Do you enjoy delicious BBQ food? Perhaps it’s time to upgrade your grill and try a new pellet grill next season. 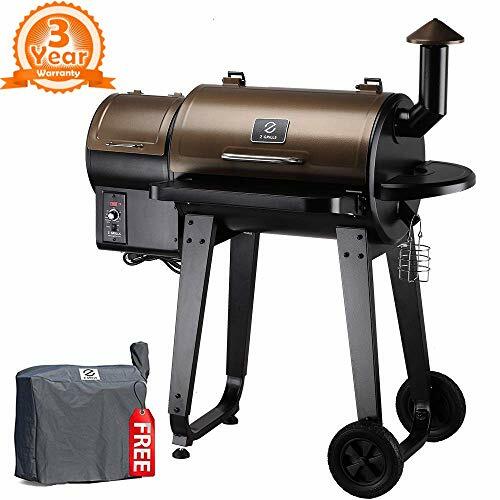 The ultimate 7-in-1 pellet smoker is certainly a good model to go for if you want to cook in a variety of ways and have some extra space to play with. We hope this article has exposed you to the benefits of a pellet grill and how one can greatly improve your cooking overall. If you decide to give a pellet grill a try, we guarantee you will not be disappointed.